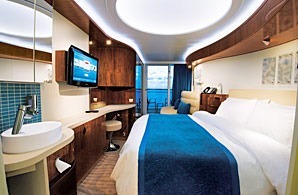 Norwegian Epic, refurbished in 2015, offers the latest innovations at sea including a wide range of stateroom choices and the first staterooms designed and priced for solo travelers. 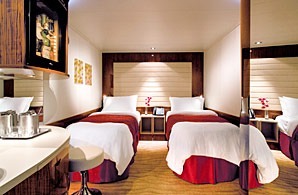 You’ll get to choose from a wide variety of dining options, including authentic French cuisine and the first churrascaria at sea – where succulent skewers of barbecued meats are carved tableside, with you controlling the portions. Plus, you’ll experience the most original entertainment at sea. And for those sailing with their families, choose from a whole lineup of events and activities everyone can enjoy. 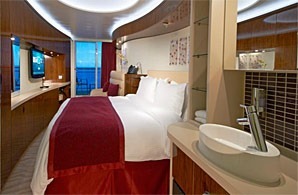 With Norwegian’s exclusive Freestyle Cruising, you don’t have to do it all, but you can if you want to. 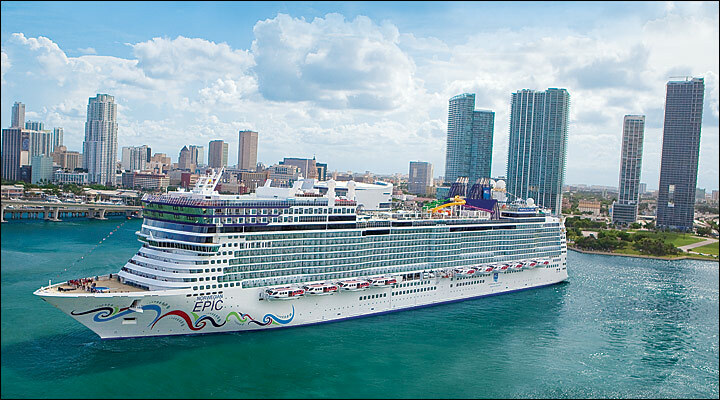 From top to bottom and from bow to stern, Norwegian Epic has enough onboard activities to fill every minute of your cruise. Think you’re brave? Visit Aqua Park and feel the exhilaration as you slide down 200 feet on The Epic Plunge – the only bowl slide at sea. Go rock climbing or shoot some hoops in the two-story Sports Complex. Heat up your day or night at Spice H20, the adults-only beach club at the back of the ship. Or lounge at Posh – a first-of-its-kind beach club at sea that combines the sizzle of South Beach and the ritz of the Riviera. When all is said and done, enjoy a pamper session at Mandara Spa. With so many bars and lounges to discover, finding your favorite may take a few days. Feel the energy of the pumping music and pulsing walls as you dance till the wee hours at Bliss Ultra Lounge. Chill out, literally, inside the SVEDKA and Inniskillin Ice Bar. Or just belly-up and order a cold one to go at Waves Pool Bar. Whether you’re looking to meet up with friends or make new ones, there’s always an opportunity to mix it up.